Imagining the future is a huge challenge — few people saw smartphones and DNA-based medicine coming. But if you want proof that "futuristic" science fiction is always about the present, just look at the obsolete devices people think will still be around. Here are 12 future visions that include tech we've already abandoned. We might have been able create an entire population of androids that are almost indistinguishable from humans, but it's still payphones all the way in this version of 2019. At least they come with video screens? In this version of 2015, fax machines are king. They line the walls of the McFly future home—because really, why have one copy of a fax when you can have three? Video cassettes are still the ultimate in media storage in this distant future, and when the show finally returned in 2009 we learned why: DVD's were just way too hard to put back in their cases. This movie is all about a "mnemonic courier"—a man with a cybernetic data storage device implanted in his brain. At the beginning of the film his brain can hold 80 gigs, but after a dramatic upgrade sequence he increases that to…160 gigs. So that's good news: in the future, the human mind will be able to hold slightly more than an iPad. Payphones strike again in this story about two cryogenically frozen men who wake up in 2032, although once again with the addition of video. Filmmakers in the second half of the last century just couldn't stay away from video payphones, as seen in a scene where Dr. Floyd calls his daughter. The phone booth is quite clean, though, and it's surrounded by very chic furniture. So that's something. And it isn't tech-related, but there's another quaint anachronism in the film—the presence of Pan Am, which was rendered obsolete, not by the steady march of technology, but by bankruptcy. We could probably linger for some time on outdated technology in Doctor Who, but one story stands out: "The Ark in Space," set in the far future, in which the sum total of human thought and achievement is stored on microfilm. At least plungers never go out of style. For a show that has an entire Wikipedia page devoted to its use of the internet, it's a little weird that the characters of Babylon 5 still rely on printed newspapers for their information—even if they are customized to each reader's preferences. This book (and a few others of Heinlein's) really loves its slide rules. Really. Exhibit A: "Dad says that anyone who can't use a slide rule is a cultural illiterate and should not be allowed to vote. Mine is a beauty—a K&E 20" Log-log Duplex Decitrig. Dad surprised me with it after I mastered a ten-inch polyphase." Exhibit B: "I tell you, the slide rule is the greatest invention since girls." Since girls! 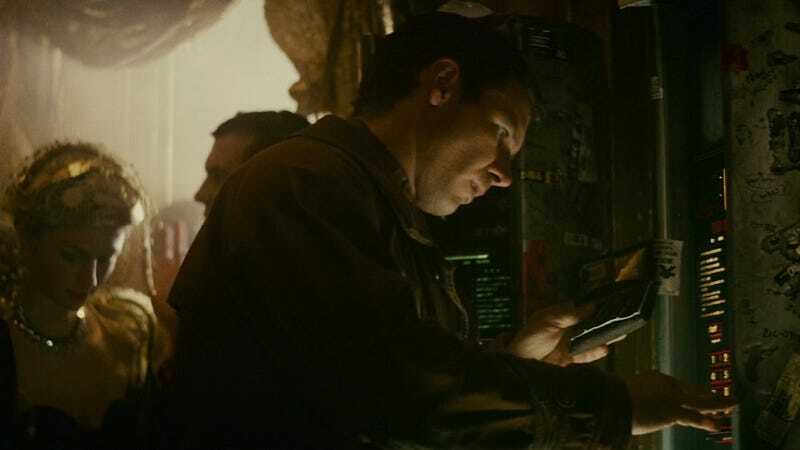 Star Trek may have predicted an awful lot of technology, but why are they all walking around with what appear to be very fancy e-book readers? Every time somebody needs to show the captain something, they have to walk their glorified Nook all the way across the bridge. Humanity can travel at warp speed but it hasn't invented email? Computers may have evolved to the point of telepathy in this distant future, but they sure look a lot like they did in the 1970's. Maybe it's like when flared jeans came back into fashion? Another entrant in the "really old computer technology on a really advanced spaceship" category, the computer on the Nostromo looks slightly worse than Commodore 64.